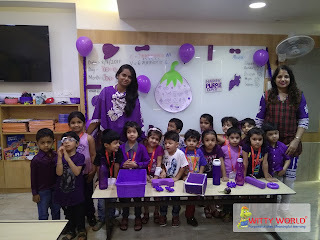 Purple is a color that symbolizes compassion, creativity, dignity, royalty, magic, free spirit. 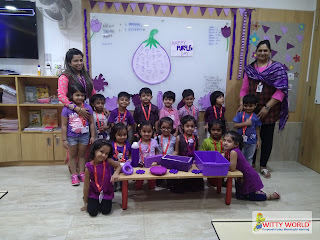 Purple day was celebrated in Junior K.G. 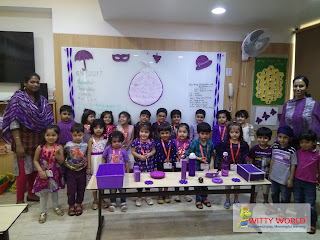 section on August 8, 2017. 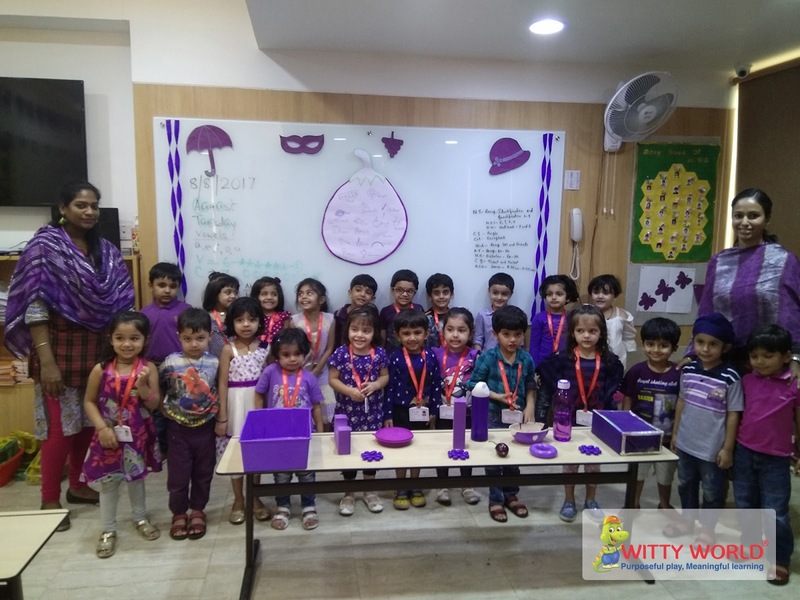 It was a free spirited day where all the children as well as the teachers came dressed in their ‘Purple Best and the classrooms were well decorated with Purple streamers and purple color objects. 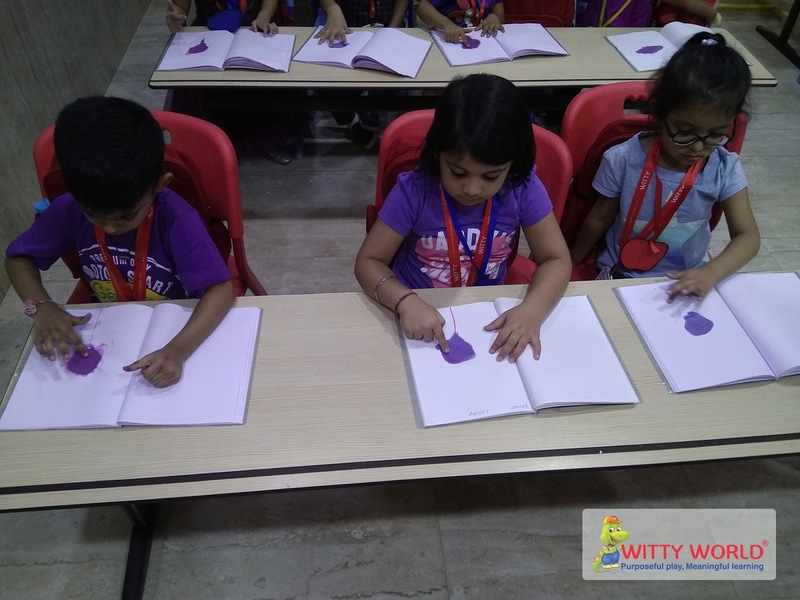 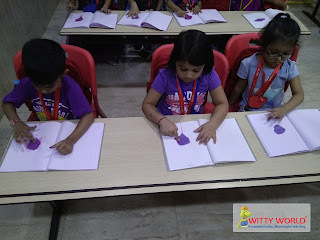 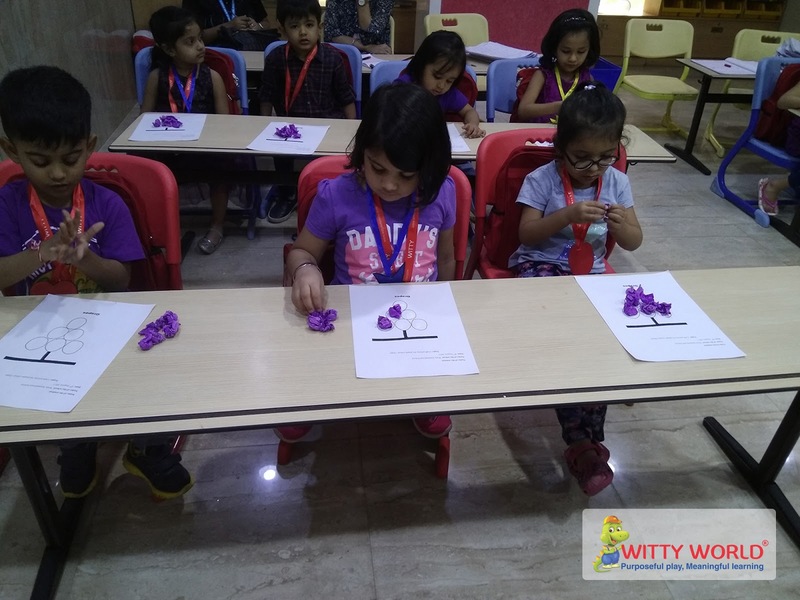 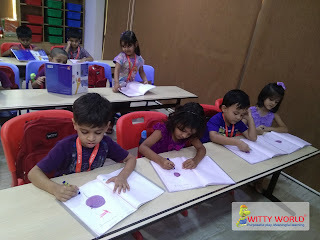 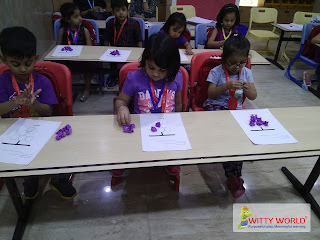 Children did activity of mixing two primary colors red and blue to get one secondary color purple and they did a model of Purple grapes with crepe paper crumpling activity.